We set up a booth at Canvas for an event: Cartoons Underground on 7th Dec 2014. It also updated a new prelude of Perfect World: Today – Perfect Granny. I took the opportunity to put up a video featuring the concept. 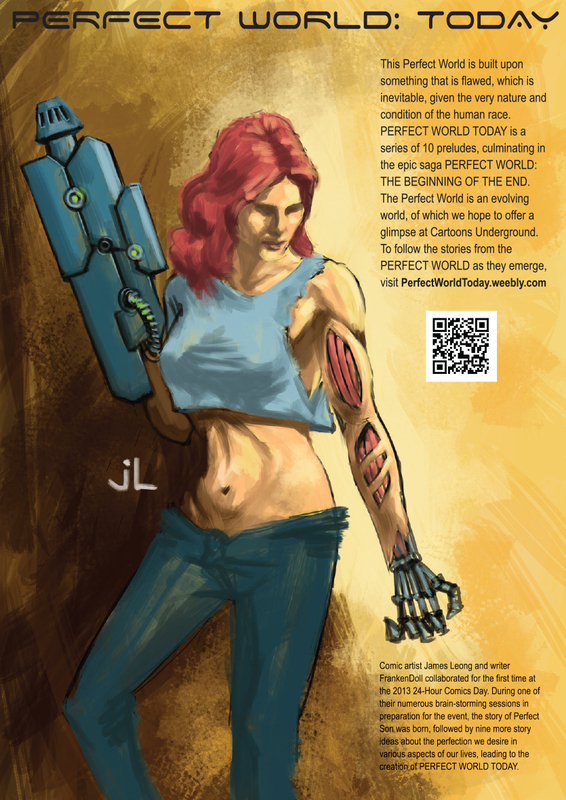 Posted in Published, Teaser, UpdatesTagged #ai, #comic, #comiconline, #comics, #iceage, #perfect, #perfectgranny, #perfectworld, #perfectworldtoday, #webcomic, #webcomicsBookmark the permalink.